The fastest man on the planet, Usain, Bolt has proven his class, leaving his rivals chanceless in the 200 meters at the Athletics World Championships in South Korea. 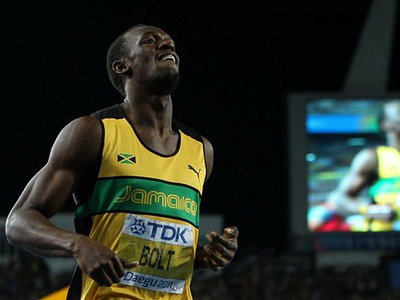 ­Bolt was last off the blocks, but the Jamaican quickly grabbed the lead and took gold, setting a time of 19.40 seconds. It is the fourth best result in history as only American track legend Michael Johnson and Bolt himself – on two occasions – have managed to run the distance faster. Silver medallist Walters Dix of the US crossed the line in 19.70 seconds, while 19.80 seconds were good enough for Christophe Lemaitre of France to finish third. 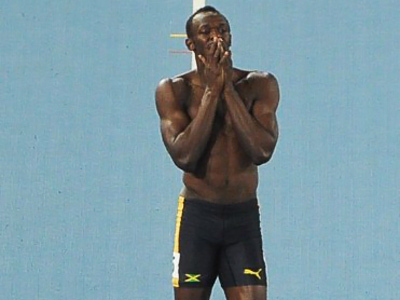 "I decided – why not come out and run as hard as possible?” Usain Bolt said. “I ran a good corner and I could have run much faster. Without a doubt I can keep on delivering. I made a mistake in the 100 meters, but I would have won it." Bolt’s victory comes after a blunder in the 100 meters when the 25-year-old was prevented from defending his world title after being red carded for a false start.